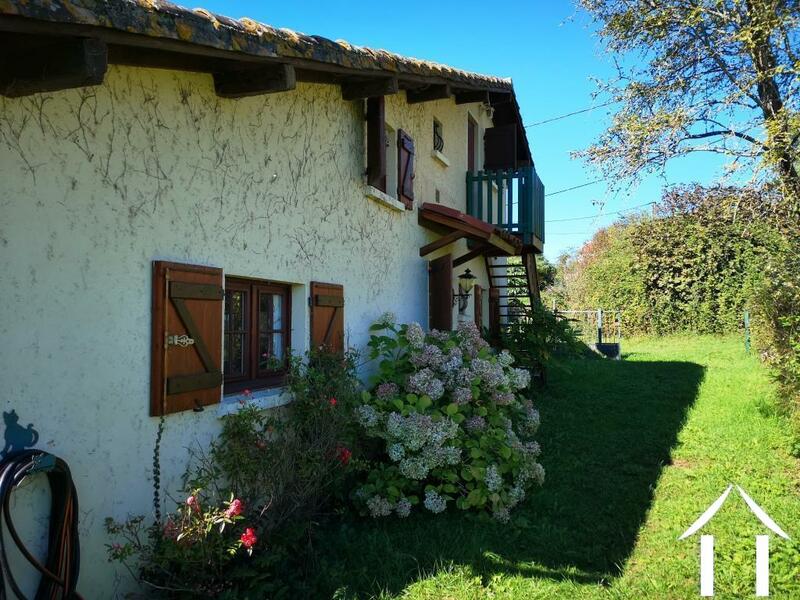 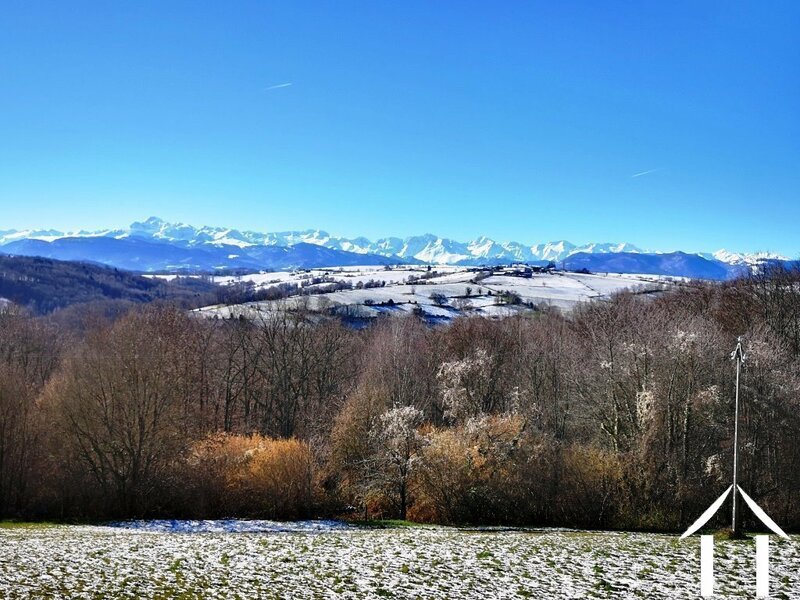 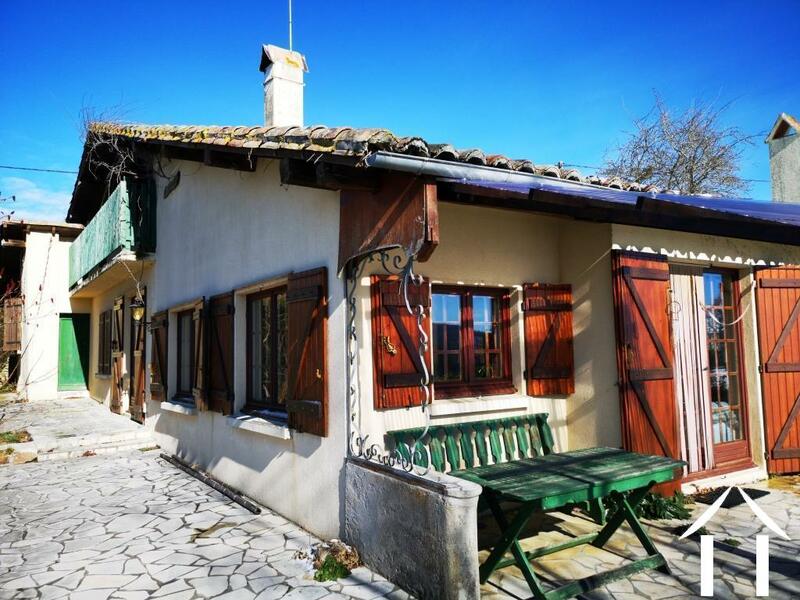 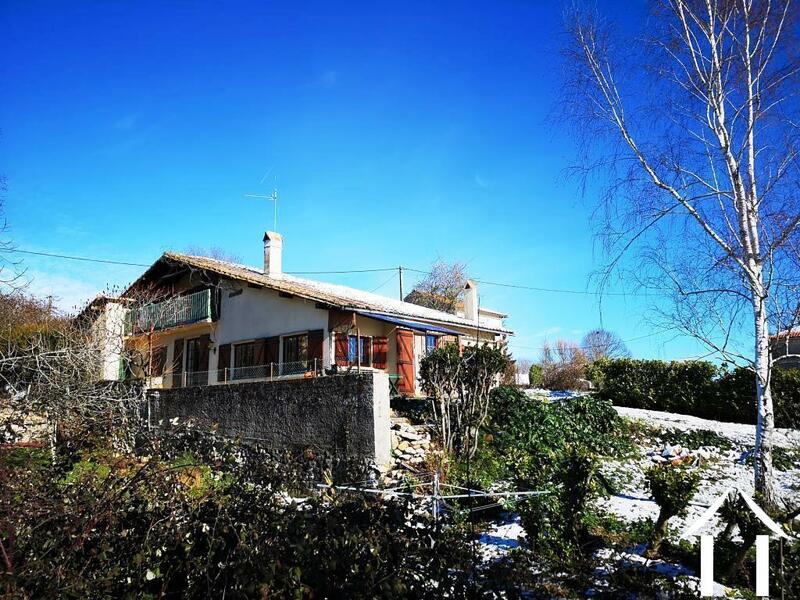 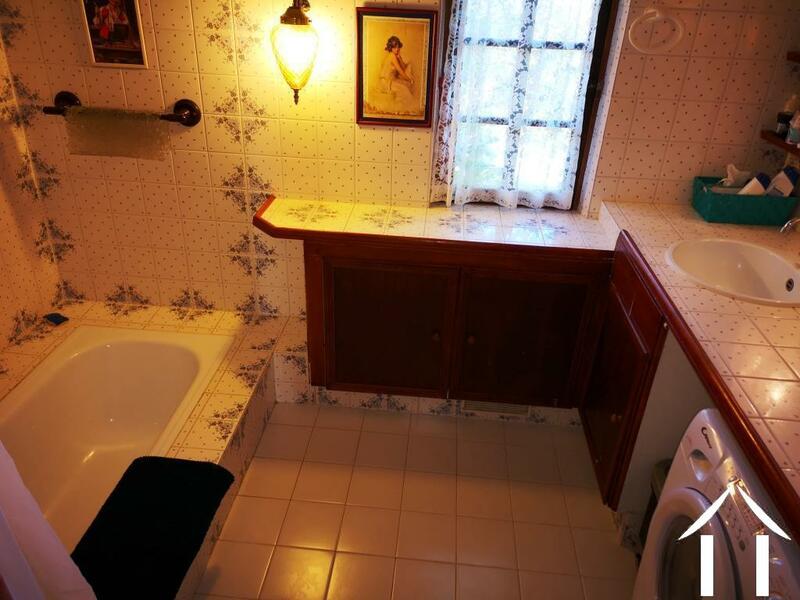 Detached ground floor house with two independent accomodations, land and a wonderful view on the Pyrenees. 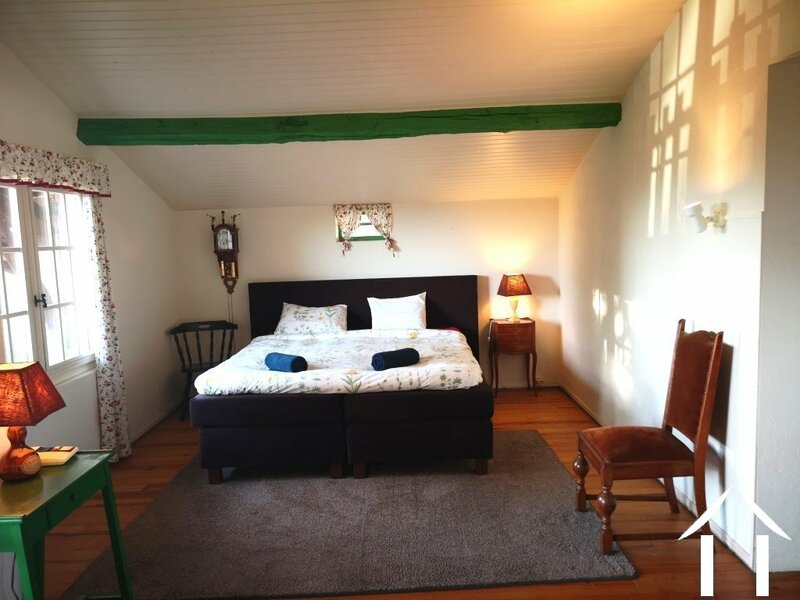 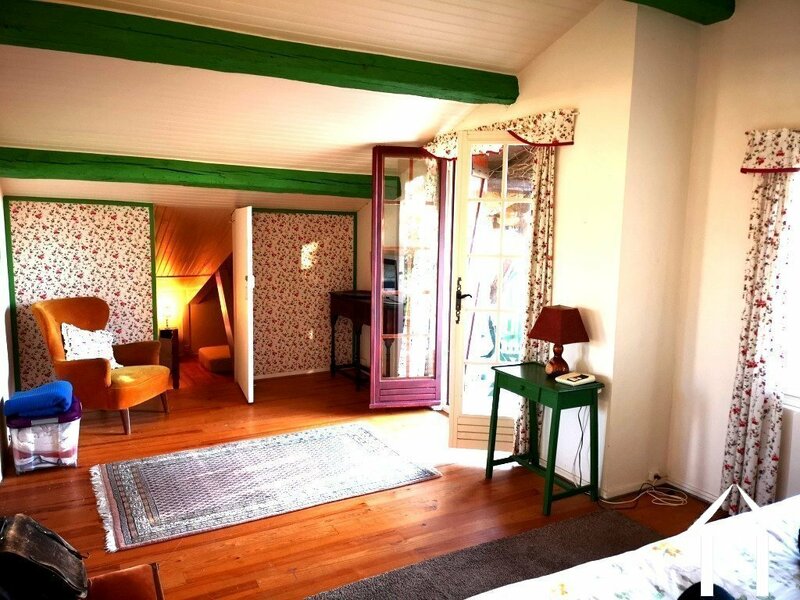 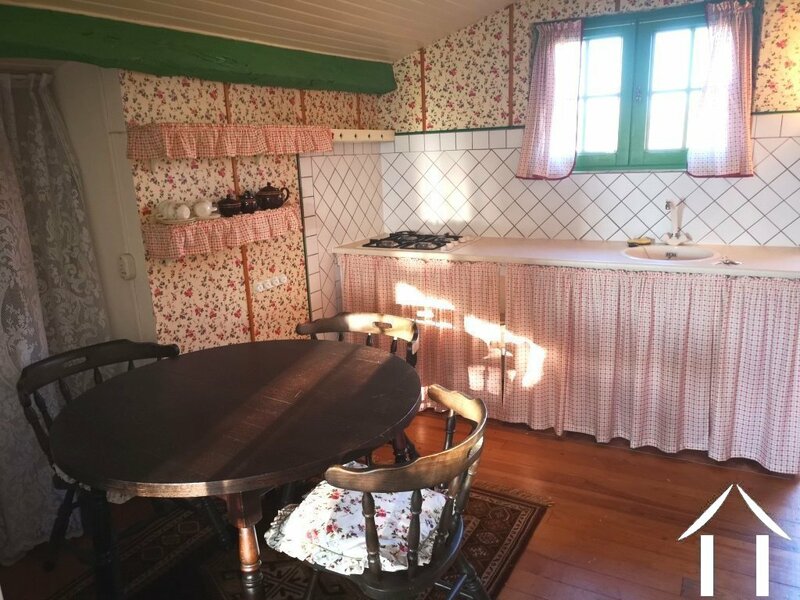 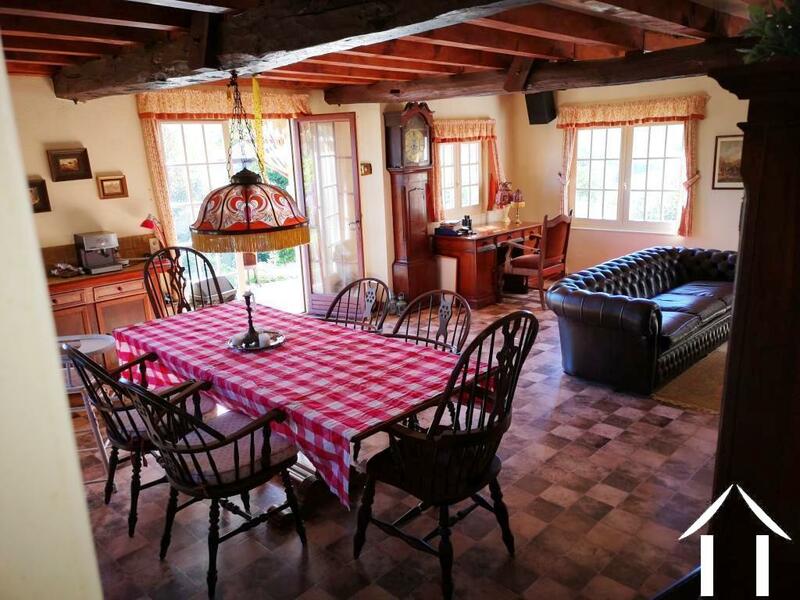 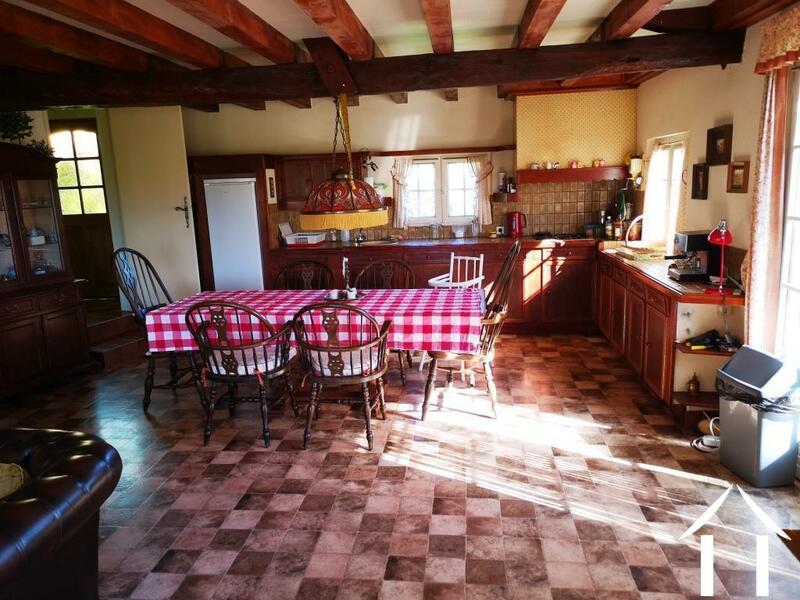 Situated on the outside of a small hamlet, in the countryside, this cosy house is an idéal holiday house. 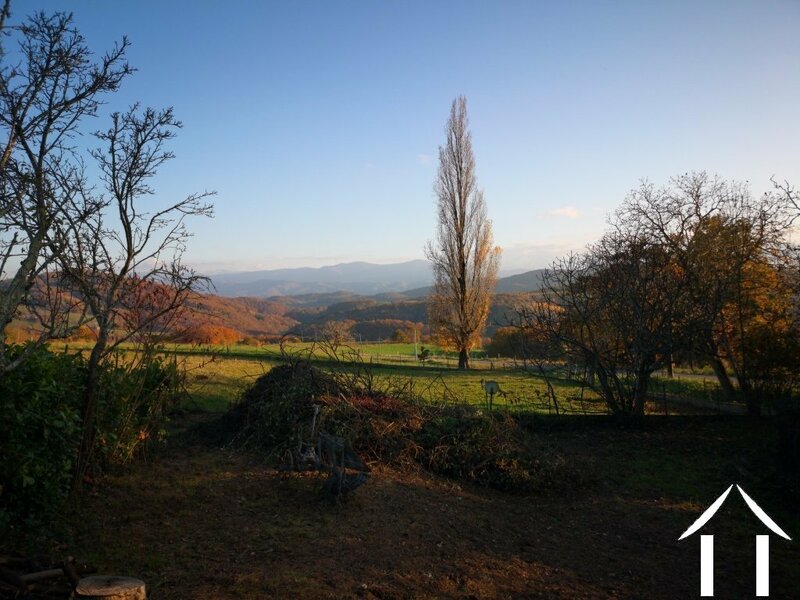 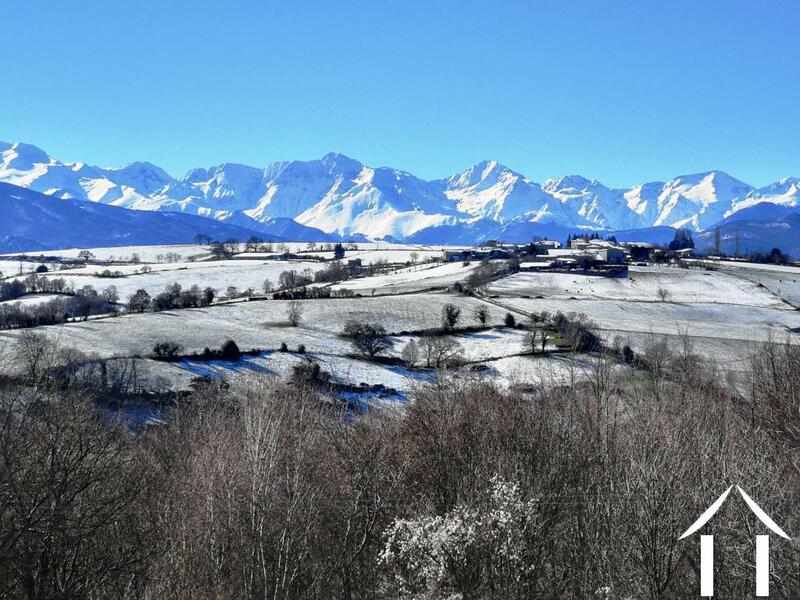 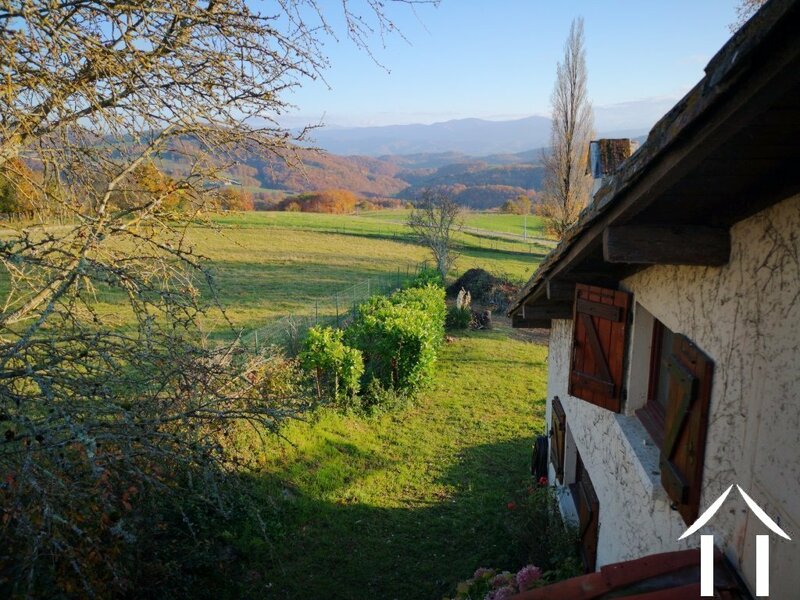 It is constituted of two independent accomodations (91 and 58m²) Both houses have a terrasse, living room, kitchen and bathroom, bedrooms, toilets, both with a beautiful view onthe Pyrenees. 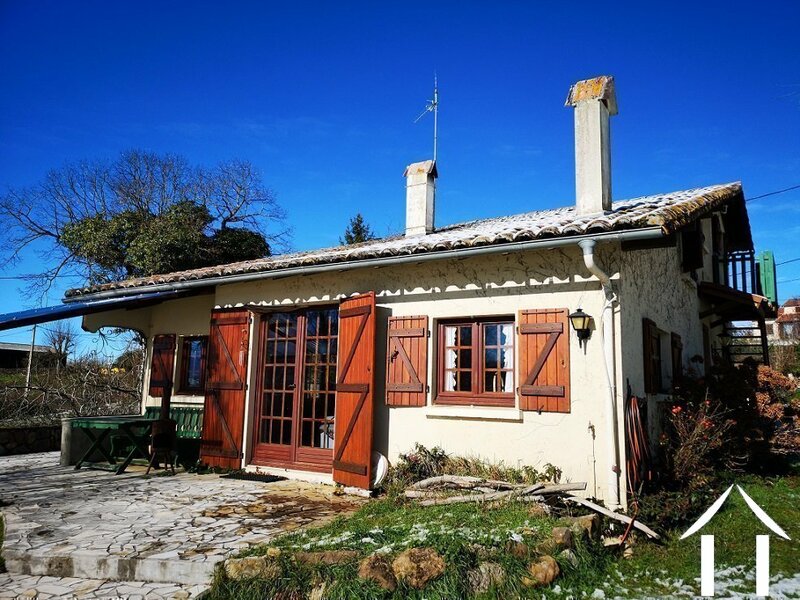 The house is in a good condition, has conserved ancient elements, and is directly readytomove in. 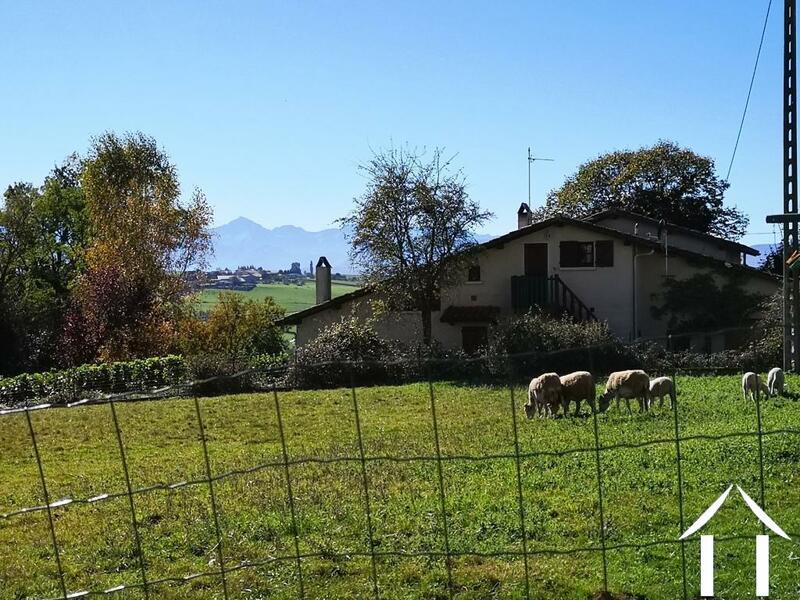 A large garden(700m²) and 2570m² land, individual sanitation, a garage . 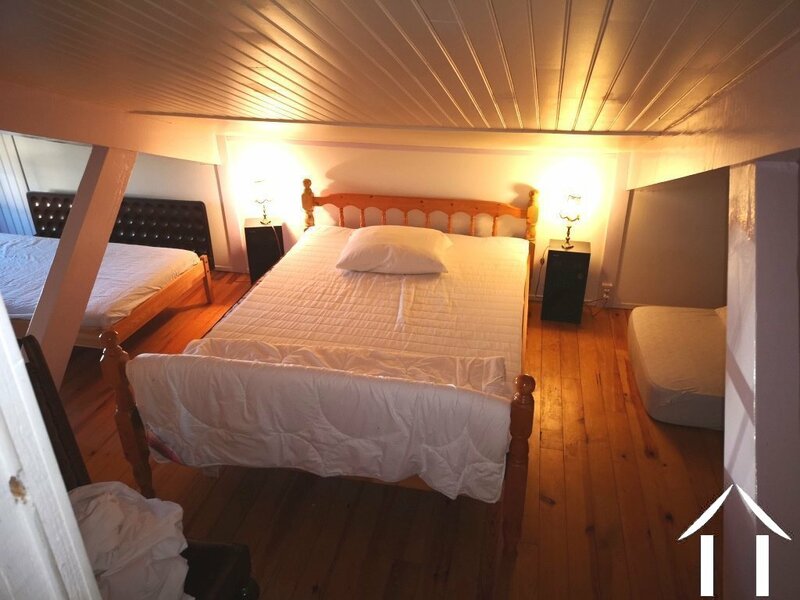 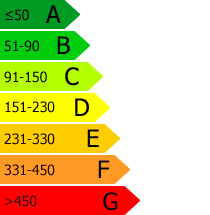 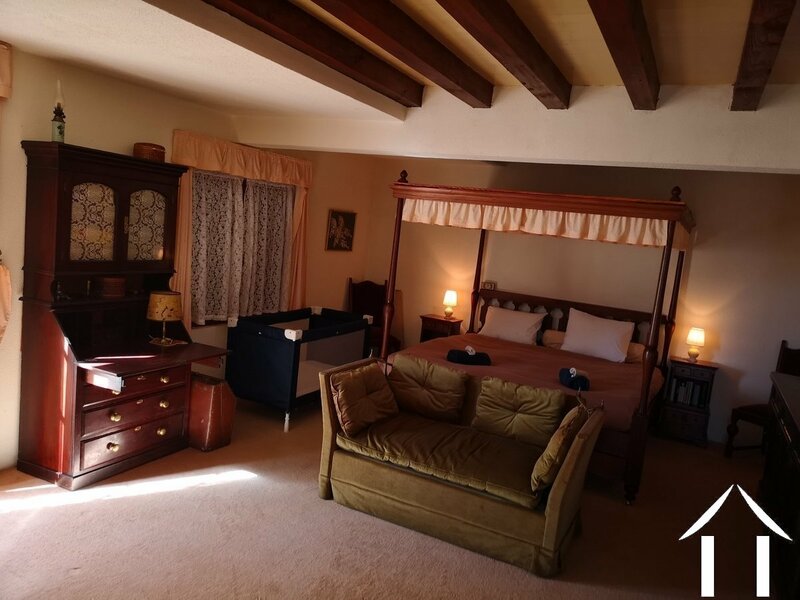 The accomodations are heated by a chimney and electric convectors. 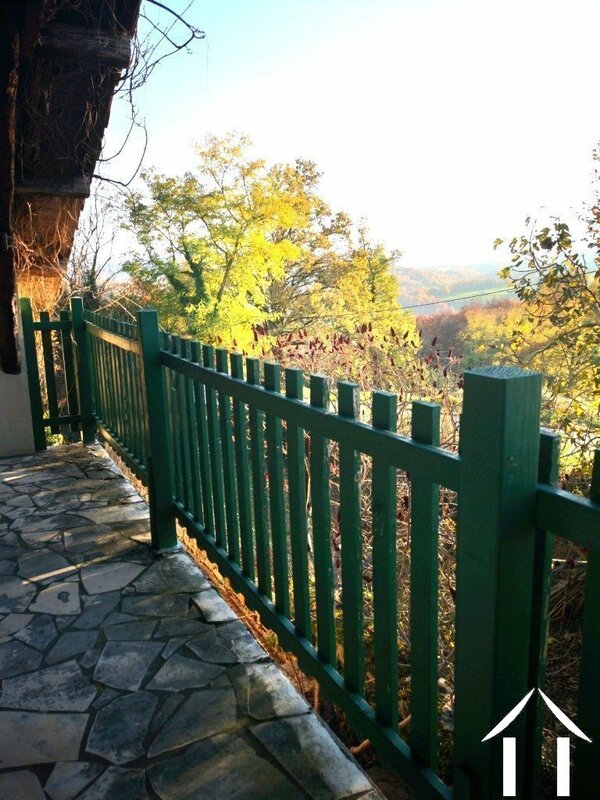 Garage/workshop( 24m²), garden(700m²) and the bonus is a meadow of 2570m² . St Girons 15 mn (all facilities), Cazères 15 mn (Sncf railway station ), Toulouse (international airport ) 1 heure.